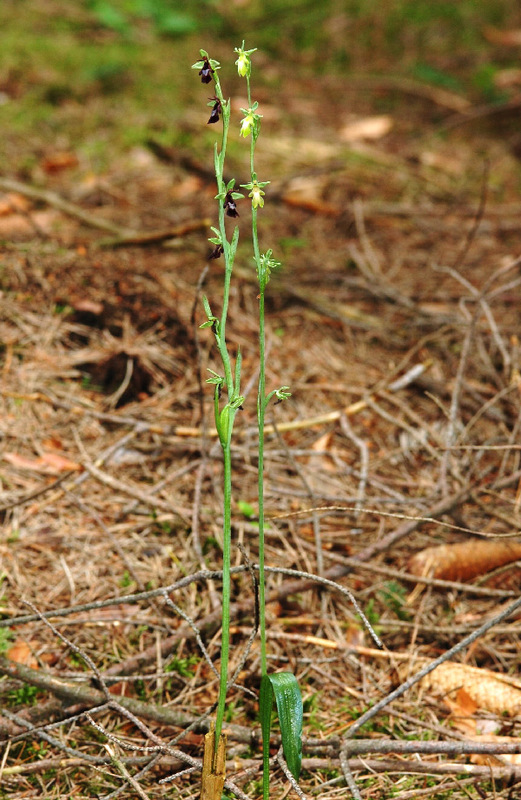 Ophrys insectifera is a slender plant with a height of 17 to 50 cm. It has a rosette of 3 to 5 leaves of a bluish-green colour. The loose inflorescence develops 3 to 17 flowers. The spreading sepals are green, the very small petals are brown. 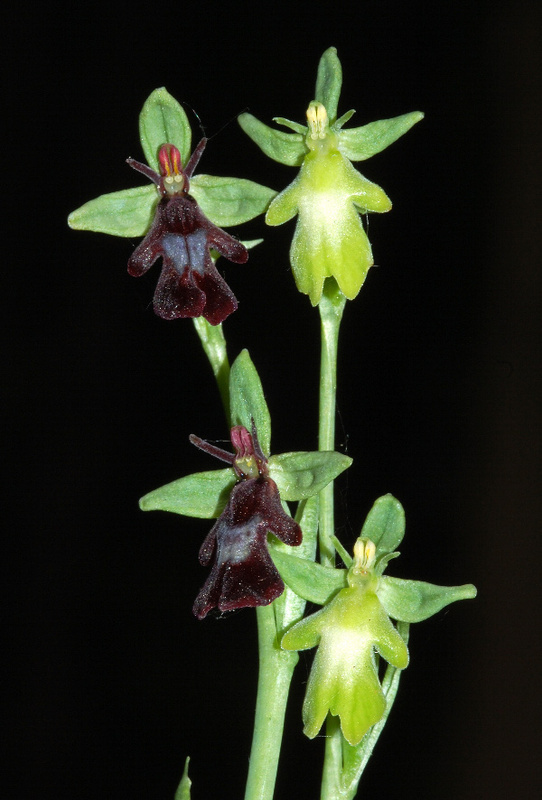 The long labellum has three lobes with a divided middle lobe. Ophrys insectifera was first described by Linné in his opus Species plantarum (1753). In general, the flowers of Ophrys insectifera have a deep brown colour with a light grey or white strip in the medium part. 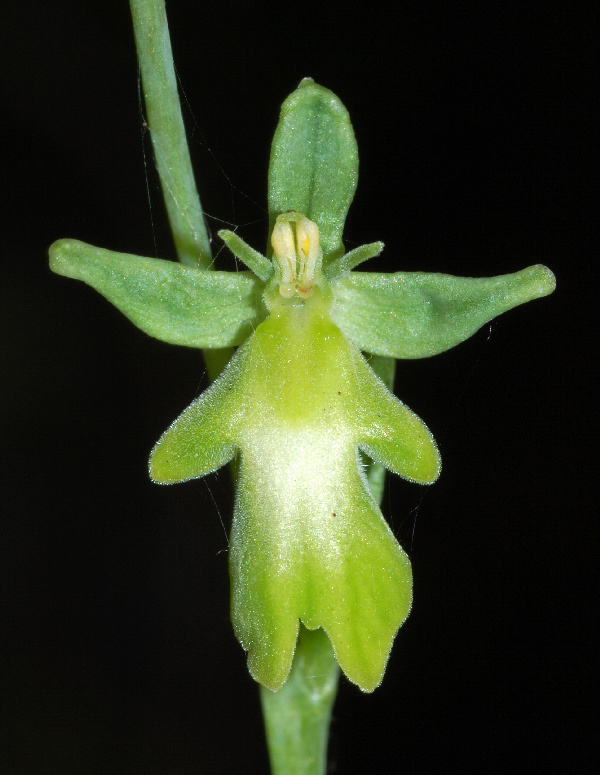 Rarely there are plants with a yellowish or greeen-yellowish labellum. In this case, the petals are also yellow or yellow-green. This variety has been described as Ophrys insectifera var. virescens. Ophrys insectifera grows on dry grassland or in forest clearings, it needs calcarious soil. Bloom is from May to July, depending on the mountain range. It grows in most parts of Europe.